The wife of a pioneering American missionary abducted nine months ago in Africa’s Sahel region has put out a video pleading for his safe return. In the 2’26” video released today (11 July), Els Woodke expresses her despair and desire to be in touch with her husband’s kidnappers. 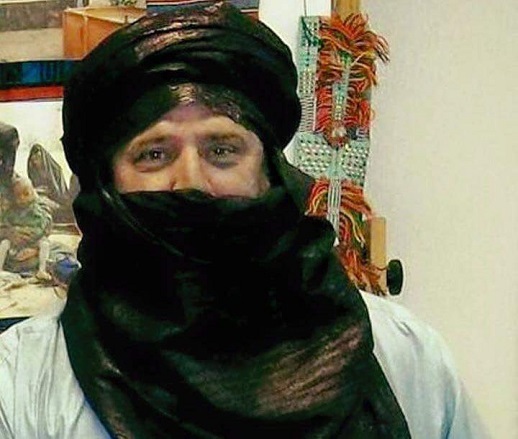 Jeff Woodke, who was working for Jeunesse en Mission Entraide et Developpement, a branch of the US-based Youth With a Mission, was abducted by unknown assailants late in the evening of Friday 14 October, 2016, from the town of Abalak in northern Niger. So far little is known, or at least being divulged, about Woodke’s condition or whereabouts, other than that his captors were tracked to neighbouring Mali by Nigerien authorities. No group has publicly claimed responsibility. On 1 July, a coalition of jihadist groups active in the Sahel region (Nusrat al-Islam wal Muslimeen, also known as the Group to Support Islam and Muslims), affiliated to Al-Qaeda, released a video showing six foreign hostages, including three missionaries. Colombian nun Gloria Argoti was kidnapped on 7 February from her convent in Karangasso, southern Mali. The 82-year-old Australian surgeon Ken Elliott was kidnapped in January 2016 from Djibo in northern Burkina Faso, near the Mali border. And Swiss missionary Béatrice Stockly was kidnapped in Mali’s northern town of Timbuktu, also in January 2016. Believing that her husband is most likely held by those who issued the 1 July video, Els Woodke has made her own statement in response to the narrator’s exhortation to the hostages’ families to “you yourselves strive to rescue them”. Mrs Woodke recalls the commitment of her husband to nomadic peoples in northern Niger for more than 29 years. “He leads an NGO that assists the local population with farming, health, and improving access to clean water, literacy and primary-school education,” she says. In recognition of his commitment, Mr Woodke received the United Nations Sasakawa Award for Disaster Reduction in 2009, given to individuals or institutions that have advocated for the reduction of disaster risks in their communities, or taken active steps to prevent disasters. A Swedish man, Johan Gustafsson, 42, was freed two week ago, six years after his abduction by Al-Qaeda in Mali. Another man kidnapped alongside him, South African Stephen McGowan, was among the other people who appeared on the jihadists’ video. A Romanian mining engineer, Iulian Ghergut, kidnapped in Burkina Faso in 2015, and French aid worker Sophie Pétronin, head of an NGO that works with children, were also shown. Ms Pétronin was abducted by armed men in Mali’s northern town of Gao in December 2016. Despite the presence of the UN’s peacekeeping mission (MINUSMA) in northern Mali, backed up by French troops, the Sahel region has become a safe haven for terrorist groups. Attacks targeting local armies (Mali, Niger and Burkina Faso) or French or UN troops are carried out on a weekly or even daily basis. On Sunday (9 July), about 10 Malian soldiers went missing as their convoy was attacked by suspected Islamists on the road between Gao and Menaka, near the Niger border, reported Reuters. The kidnapping of foreign nationals, and their release in exchange for huge amounts of money, has become a lucrative business for jihadist groups. An investigation by The New York Times found that Al Qaeda and its direct affiliates took at least $125 million in revenue related to kidnappings between 2008 and 2014. On 2 July, French President Emmanuel Macron attended a meeting with the leaders of the G5 Sahel bloc (Niger, Mali, Chad, Burkina Faso and Mauritania) to discuss the military force they will set up to fight jihadism, smuggling and people-trafficking in the region. The force, which will supplement France’s operation Barkhane and the UN’s MINUSMA mission in Mali, will start with 5,000 troops and the G5 hopes to double its numbers over time.